Royal chef to Koha. Most likely to stab you. 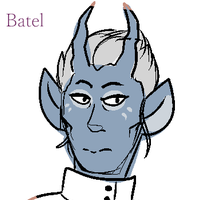 Batel has one of the hardest jobs on the property. Being the head chef means she's in charge of all the chefs, meals and planning. When Koha decides they're going to have a giant Sea Serpent or Roc for an event, Batel is in charge of all the logistics. As such, she's in close contact with the Royal Hunters, Gardeners and does a lot of the market work herself. 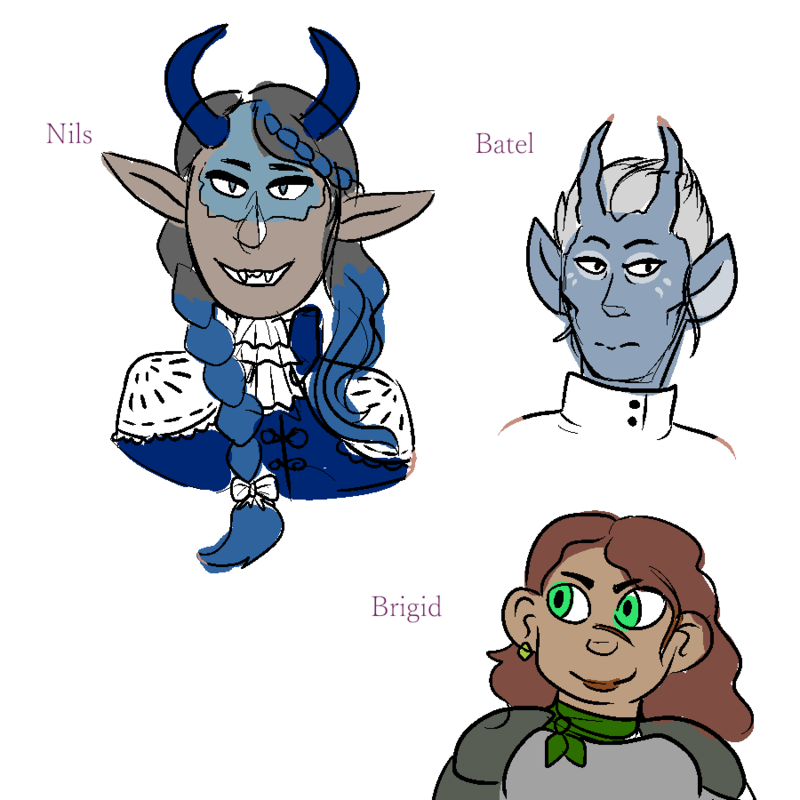 She's one of the more dour of Koha's company, but bonds with the other underlings often when she needs to unwind and smoke. Batel has trained all her life to get here, and is very proud of her dishes; she gets to use the finest ingredients available after all. She's most fond of the Hunters; she likes to hear secondhand the grand adventures required to get exotic meat, and sees it as almost as intense as her kitchen.